There is a large and ever growing number of electronic parts and installers for the marine industry. When it comes to making decisions on what equipment you want to install and rely on to guide your craft home, keep you and your family safe should be your top priority. Marine electronic installers are the best in the business. 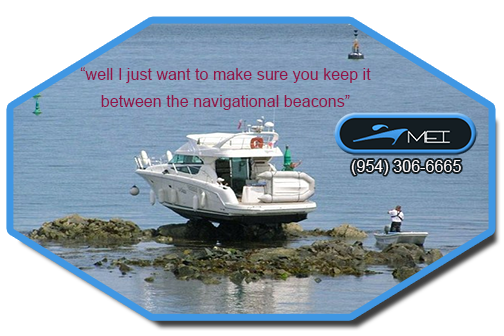 Top of the line Marine GPS units, radar, Entertainment systems including the best lighting and sound to create complete customized automated systems with every kind of navigation solution made simple. Raymarine Evolution Autopilot is the latest in a long line of Raymarine products that will shape the industry for years to come. When you’re out in the ocean off shore your have to stay vigilant and true to your course. Navigating by underwater hazards other boats and all types of obstacles on the water can be a daunting task but in this day and age you no longer have to worry about constantly checking your vessel’s course, you have the ability to set your course and let the latest autopilot system from Raymarine take the helm and guide your course home. Being in choppy waters in the dark of the night having little to no visibility you may find yourself on the water totally reliant on your instruments to bring you back to shore that’s why you need the best GPS, Radar and Autopilot technology Marine Electronic installers has to offer. With MEI you can count on our professional installations by certified Raymarine evolution autopilot system installers. Whether you want to race long distance in a sail boat, cruise from port to port or go fishing these autopilot systems are some of the best in the industry. With the latest technology and electronics you can put your mind at ease with Marine electronic installers we offer the best products in the industry. Introducing the new autopilot system called Evolution Ai™ or Autopilot intelligence this system calculates and changes its steering commands to the most efficient performance maximizing your potential speed no matter the sea conditions. The precise and reliable Raymarine Evolution autopilot will save you gas and get you to your destination quicker than most systems out there on the market. Inside of every single evolution system lies a 9-axis sensor core, this sensor detects the boat’s movement in three dimensions. The advantage of the EV core is having a solid state sensor in one single housing. This Autopilot system monitors the yaw, pitch, heading, and roll letting the raymarine evolution autopilot evolve to suit the conditions of the sea and the dynamics of the craft. You can put this above or below the deck whatever is the most convenient. Our solid state sensor technology is accurate within 2 degrees in every condition. This unit has the capability to compensate automatically for varying on board magnetic fields for the most true and accurate heading in the southern and northern hemispheres. From navigation, yacht automation, entertainment T.V. lifts, Screens, Speakers, Lighting and every accessory you can imagine.